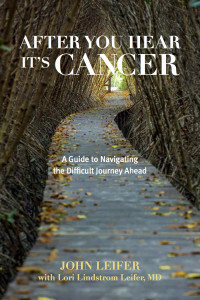 Radio host, Dr. David Naimon, (of KBOO-FM/Portland) does an excellent job of asking John Leifer, author of AFTER YOU HEAR IT’S CANCER: A Guide to Navigating the Difficult Journey Ahead (Rowman & Littlefield Hardcover, August 2015), pivotally important questions regarding issues facing recently diagnosed cancer patients and their loved ones. You can catch the full interview here: KBOO-FM/Healthwatch. OTRPR is a PR firm specializing in innovative and individualized campaigns with a focus on electronic and social media, promotional writing, and one-on-one mentoring.Since 2000, we’ve helped hundreds of authors, publishers, non-profits, and small businesses achieve their publicity goals by generating key TV, radio, print, and online coverage.